It is not only in Transport Tycoon that there are Monorails. They can also be found in "real" life. On several places on earth, special Japan and the USA they are already in operation. Automated transit operation is often touted as a "magic bullet" for reducing transit operating costs by proponents and vendors of monorails, personal rapid transit, and similar "gadget transit" modes. Partisans of automated transit technologies regularly claim that such systems have an inherent advantage in dramatically lowering operating costs compared with manually operated light rail transit ( LRT) and other standard rail-guided modes. Many monorail proponents also contend that monorails have lower operating and maintenance (O&M) costs, in either automatic or non-automatic mode, because they supposedly avoid certain rail maintenance costs incurred by standard rail modes. 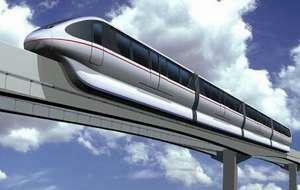 The claims of lower monorail O&M costs are widely regarded with skepticism, particularly when one considers the need for beamway paving, power system maintenance, vehicle maintenance and similar needs. In regard to the claims for dramatically reduced O&M costs from automated operation, as the article "Transit Automation and Operating Cost Where Are the Huge Savings?" points out, these claims do not seem supported by the available evidence. In particular, while a driver in each vehicle or train may not be required with an automated operation, this advantage is often offset by the need for additional security personnel, technicians, central control personnel, administrative personnel and other essential staff. Certainly, no data are immune from drawbacks. But we believe that, in evaluating alternative transit systems, it is far preferable to refer to real-world data than to theoretical hypotheses and speculations. Unfortunately, because the deployment of monorails and similar "gadget" systems has been relatively minuscule worldwide, there is not a large pool of real-world, urban revenue-service experience from which to draw data. 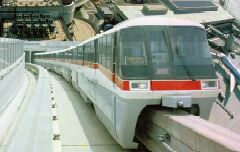 By far, however, the greatest and most diverse experience has been in Japan, with a multiplicity of standard-rail LRT and rail rapid transit (RRT, or metro) systems as well as experimental (and established) innovative guideway technologies such as monorail, automated guideway transit (AGT), and guided buses. 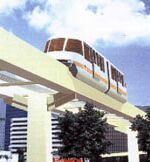 Implementation of the Seattle's Monorail project is under way (as of January 2003), and construction is expected to begin in mid-2004. In the prediction of one monorail critic, this monorail project is destined to become "the national poster child of what not to do in urban transit". No cost data from country to country are completely and utterly compatible, but Japan is an advanced industrialized country, and most of the monorail systems operating in a real-world, urban revenue environment are there. It's about as accurate, relevant, and up-to-date as we are going to get in terms of actual experience with monorails and other unusual guideway modes. In San Francisco, BART (which must compete with an extensive and highly subsidized and high-quality freeway network) requires subsidy. In Hakodate, Japan, by contrast, the streetcars do not require subsidy. 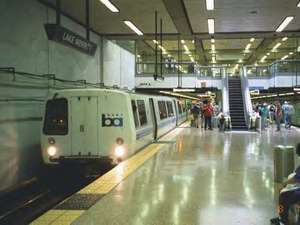 But it costs BART $0.26 per passenger-mile to operate, while it costs Hakodate $0.92 to operate. How can this be? A comparison of various standard rail transit modes, including LRT, with monorails, AGT, and other "gadget" modes indicates that neither monorails, automated or not, nor other automated "high-tech" modes, offer perceptible operating and maintenance cost advantages compared to standard rail transit modes. Automation may have advantages, but, if so, they are probably more operational than financial.